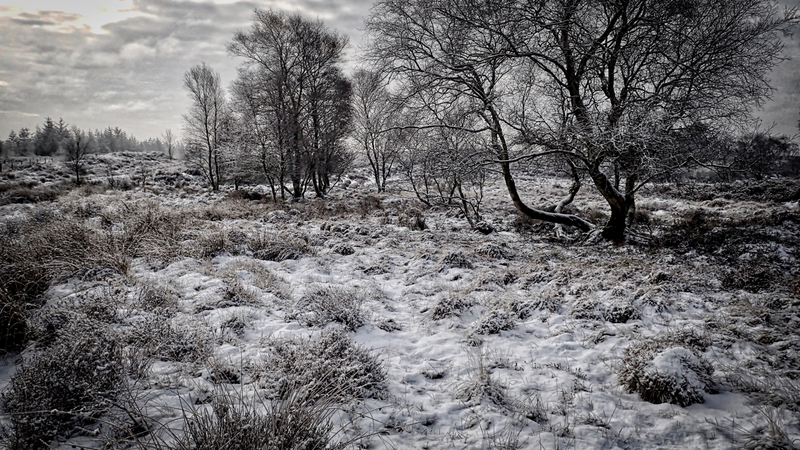 A slight covering of snow completely transforms the otherwise drab winter colours of Bridestones Moor. The is the upper reaches of Bridestone Griff. A griff is a North Yorkshire term for a deep, narrow valley, said to have formed by glacial melt-water, and sure enough, lower down, the glen does become steep but here, high on the moor, it’s a grassy semi-wooded hollow between higher ground of relict dry heath where heather and bilberry dominate.